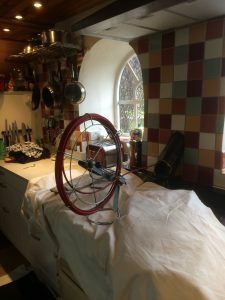 Many people mistakenly believe that when their Aga or Rayburn are serviced, the servicing engineer sweeps the chimney/flue; this is not the case. This happened to me just the other day, the customer believed that her Aga flue had been swept regularly when she had the appliance serviced each year. So it turned out that it had not actually been swept for a very long time. Consequently the flue was very dirty, but was easily swept using the small viper and conventional brush. Another satisfied customer.